The 5kg CO2 Fire Extinguisher is a serious contender in the world of fire fighting equipment for tackling larger fires involving electrical equipment as well as Class B fires involving fuels such as diesel, petrol & oils. 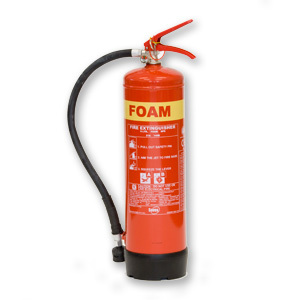 We would recommend a 5kg CO2 Fire Extinguisher to be used in working & industrial environments where larger volumes of electronics such as servers in a IT room or factory machinery is in operation. 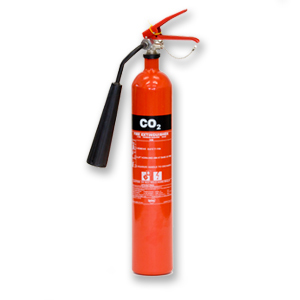 A carbon dioxide fire extinguisher is simple to operate and leaves no mess to clean up after a fire. Constructed from steel, this 5kg CO2 fire extinguisher is incredibly rugged. If an automatic gas suppression system or automatic extinguisher is not suitable for a server or plant room, then a free standing CO2 fire extinguisher is the only real choice to protect these areas as they will not harm the equipment or cause a mess like a powder extinguisher would. You are under no obligation to buy from your servicing company and will in almost all cases find the exact same fire extinguisher cheaper on our site. Protect your electrical equipment now at a price that won't break the bank. This model has squeeze grip operation, corrosion resistant finish, is harmless to machinery, kitemarked to BSEN3 and comes supplied complete with a bracket. CO2 fire extinguishers are the only models that are recommended for use on electrical equipment as the carbon dioxide gas is non conductive. 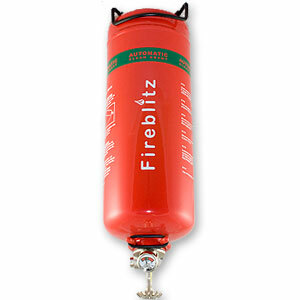 They are also suitable for use on class B fires. It is recommended to have water, water additive or foam extinguishers alongside CO2 extinguishers in office environments, shops and factory locations. CO2 works by starving the fire of oxygen and thus extinguishing it. Carbon dioxide is heavier than oxygen and displaces it from the fire source. Be aware that the gas is extremely cold and can cause frost burns if you hold the extinguisher horn when discharging it. Many CO2 fire extinguishers have frost free horns, but if in doubt we would recommend to still not hold the horn when using. Please note that CO2 extinguishers are not suitable for use on Class A Fires involving the likes of paper, cloth or wood. 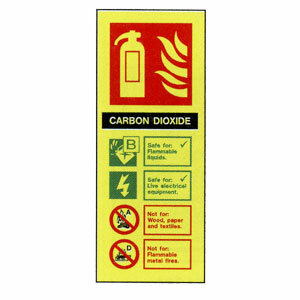 Any office where there are computers, machinery or other electrical devices should have a CO2 Fire Extinguisher on hand to fight any fires involving such products. We would also recommend considering a CO2 fire extinguisher as part of a home safety plan as most residents these days have a wide range of electrical equipment such as PC's, TV's and Stereo equipment.